The next few months could go a long ways toward determining whether the privately-run, higher-speed passenger train Brightline will travel between South Florida and Orlando by 2021. 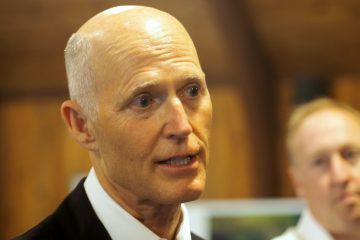 With a seven-month extension granted Thursday by the federal government, All Aboard Florida now has until the end of the year to sell $1.15 billion in tax-exempt private activity bonds. Yet the certainty of that is low enough that the company is mulling other options. The company is telling Orlando officials that it expects to begin higher-speed passenger train service between South Florida and Orlando International Airport in 2021, and that it also is pursuing potential routes to other markets in the future. To do that, All Aboard Florida advised the Greater Orlando Aviation Authority a couple of weeks ago that it expects to issue the bonds in August or September, and expects to receive a notice to proceed from the state Department of Transportation in late summer or the fall, allowing it to actually begin construction. For the Phase 2 route, West Palm Beach to Orlando, All Aboard Florida says it expects to invest as much as $3.5 billion on the total project. That includes, for Phase 2, buying land, planning, engineering, upgrading tracks and crossings between West Palm Beach and Cocoa, and building all new tracks and related infrastructure between Cocoa and the Orlando International Airport, and adding trains. The company said it would finance that with 40 percent equity and 60 percent in debt. Already, All Aboard Florida stated, in a presentation to GOAA, about $200 million has been spent on land purchases, engineering and design, and permitting. A lot is riding on the Brightline train, particularly for Orlando and the Orlando International Airport, which already has built a $211 million train station, but has no trains. The goal is to connect Florida’s two largest tourist hubs by train. Opponents, led by Citizens Against Rail Expansion in Florida, have been fighting the train over concerns for safety for the communities it passes through, the prospect that local communities will pick up longterm tabs for crossings maintenance, and whether the bond sale is even legal. After having struck out in several other lawsuits and administrative challenges, they may be down to trying to derail the federal financing, hoping that the company can’t get pull together the billions of dollars needed for the route. All Aboard Florida is calling its Phase 1 a success, saying it has had more than 100,000 passenger rides on the West Palm Beach to Fort Lauderdale leg since it opened in January. That ridership number was announced was before the Fort Lauderdale to Miami leg opened two weeks ago, and a company spokeswoman said the Miami route has been selling out. All Aboard Florida officials have testified the private activity bonds represents the cheapest and first choice for the company. But that route is being blocked right now by litigation from CARE-FL and others. 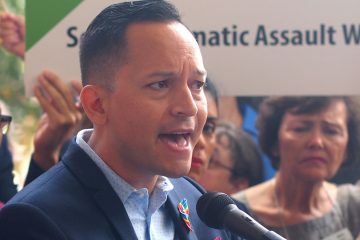 There also is a political effort seeking to stop it, led by U.S. Rep. Brian Mast, the Palm City Republican. Mast and several other congressmen, notably U.S. Rep. Bill Posey, the Rockledge Republican, and U.S. Rep. Mark Meadows, the North Carolina Republican who chairs the powerful House Government Operations Subcommittee, have asked the U.S. Department of Transportation to suspend approval for public activity bonds. 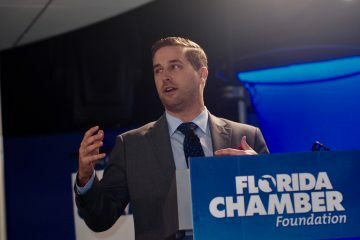 All Aboard Florida disputes there is anything wrong with the business model, or that they consider the bonds to be taxpayer subsidies, insisting that investors hold 100 percent of the risk. [Mast and other critics argue the subsidy is in the taxes not collected, accepted by a judge as being up to $600 million.] 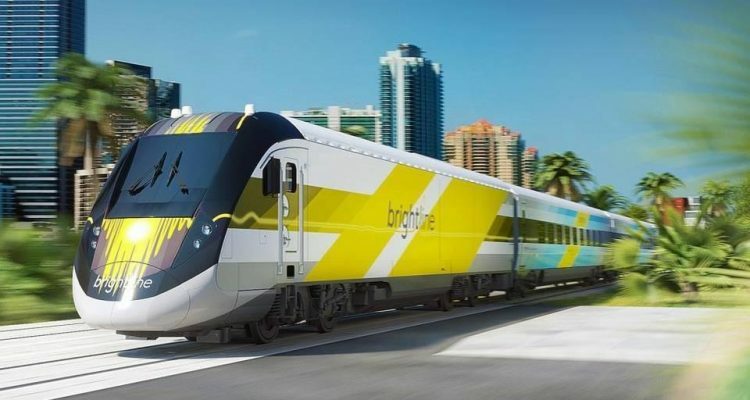 Another group of members of Congress, including U.S. Reps. Carlos Curbelo, the Kendall Republican, Ileana Ros-Lehtinen, the Miami Republican, and Darren Soto, the Orlando Democrat, have come out to support Brightline and its effort to keep the bond approval. Nonetheless, the company is looking at a Plan B, and perhaps a Plan C. Plan B, as mentioned during an April 19 congressional hearing, and cited again during the May 16 GOAA board meeting. Plan B would be seeking a federal loan through the U.S. Railroad Rehabilitation & Improvement Financing program. Conventional bonds also were mentioned as an option. In the official letter from U.S. DoT approving the time extension from the previous May 31 deadline to December 31, DoT Undersecretary Derek Kan stated, “I understand that All Aboard Florida/Brightline is still coordinating several financing opportunities for the project, and is therefore requesting the provisional allocation be extended until Dec. 31, 2018,” according to a report last week by Bond Buyer. The opponents’ safety issue was brought home again last Friday with yet another death, when a man walking along the tracks was struck and killed by a Brightline train in Boynton Beach. He was the 6th person killed by the trains in the past year, and they didn’t start running in earnest until January. In every case, All Aboard Florida cautions that the deaths appear to be entirely out of their control, as people stepped around barriers and in front of trains, or illegally walked tracks. At least two have been ruled suicides, and Boynton Beach police indicated that preliminary evidence indicated Friday’s deceased, a 46-year-old Lakeland man, appeared to jump in front of the ongoing train. Several involved high blood levels of drugs and alcohol. Other rulings are pending. All Aboard Florida also notes that every crossing has safety measures in place, including gates, lights, signage, bells and whistles. But opponents of the train have pushed without success for the company to commit to more fencing and stricter pedestrian-control equipment at crossings.